Soren Kierkegaard sought to clarify what it means to be a Christian. He concluded that a one-on-one relationship with God is required, to encounter the "Absolute Paradox," defined as an immutable being entering into and transforming human history. Kierkegaard's dim view of a systematic Christian theology includes a preoccupation with theological exposition that distracts from the essential task of achieving a personal relationship with Jesus Christ. Alternatively, Paul Tillich's theology is based on a triadic relationship of being, nonbeing and Being-Itself (God), a doctrine of symbols, and a reinterpretation of the Incarnation. 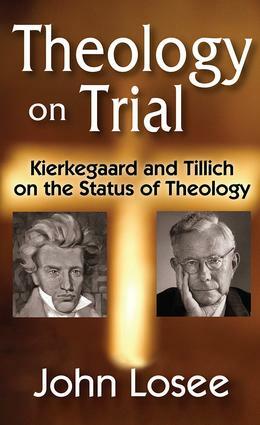 It correlates a culture's questions and concerns with the Christian message to certain criteria of acceptability that, to Tillich, must satisfy the "Protestant Principle," stipulating that a theological system both restates the present-time Christian message and acknowledges that this restatement cannot be the definitive, ultimate expression of that message. 13 Does Tillich's Theology Satisfy His Own Criteria of Acceptability?